Digital advertising is trackable down to the last click, making it easy to see where you’re getting conversions and exactly what that advert is doing for your business. How then, can we achieve the same levels of measurability with offline ads? The reality is we can’t track these ads as well as digital. However, this doesn’t mean digital writes off offline advertising, far from it. 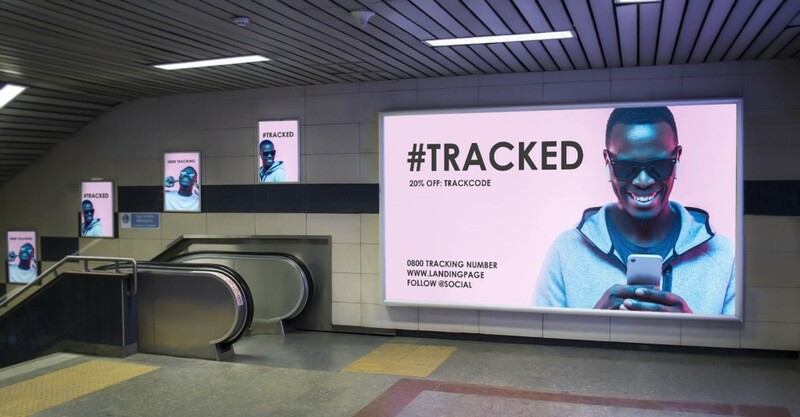 In fact, we can use our digital tracking to help us measure offline ads better than ever, here’s a few tried and tested methods. Printing your website URL on a bus stop poster could be getting visitors to your site but unless you have given a specific web address for that ad, it’s all guess work. Use unique URL’s for each ad and you can see how many visitors you are getting to the site from that ad, from there it’s easy digital tracking to conversion. Remember to keep your URL short and easy to remember so customers are more likely to find your dedicated page. Using a discount code means your customer is typing something into your website that basically tells you where they’ve seen you. For example, offering 20% off or a 1-month free trial with code ‘BUSSTOP’ will show you that your conversion has come from that specific ad. Discount codes don’t always need to be money off, it could be they are entered into a competition or sent a link to an exclusive sale. Offering a discount code not only encourages sales but provides the perfect means of tracking your offline advertising. If you are using an email address on your ad as a point of contact, then utilize it for tracking too. By using a custom email like ‘busstop@trial.co.uk’ you can easily track if there has been any email contact from that specific ad. It’s general practice for businesses to have active social accounts nowadays. These accounts make it easy for customers to follow your business without much dedication. This is great if your customer isn’t ready to purchase, giving you the opportunity to stay in the line of sight for when they’re ready. Add your social handles to your ads for people to follow. Try using a specific hashtag for them to tag you so you can track where they saw you. Don’t expect to go viral with your hashtag, but every bit of tracking helps! You can even tie your hashtag in with your voucher code or entice customers with social media offers to encourage more followers. Trackable phone numbers are arguably the most effective way to track your offline advertising. By offering a specific number to call you can easily track how many enquiries came through for that ad and more, you can gauge the quality. If a potential customer has made the effort to call you, they are already very interested, so this is a great option to close sales. Most virtual number suppliers will offer some form of call statistics, allowing you to see exactly what calls your number generated. The added bonus with using virtual numbers is you can divert them to your existing business number so there is no complications to your normal work flow. Use all the above together in your offline ads and you have a much better level of measurability, making it easier than ever to track your offline advertising. Try it on your next campaign and start tracking the results! Use your results to make informed decisions on whether to continue your campaign or invest that money elsewhere. If you have a bit more time on your hands you can always try some A&B testing with your printed ads. Try one version of a flyer sent to a sample of your market, another version sent to another sample. Using all the tracking methods above see which flyer worked best for you and continue to send that one to the rest of that market database.